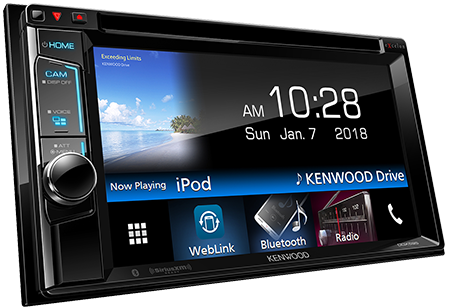 WebLink is the new way to get the most out of your in-car receiver. 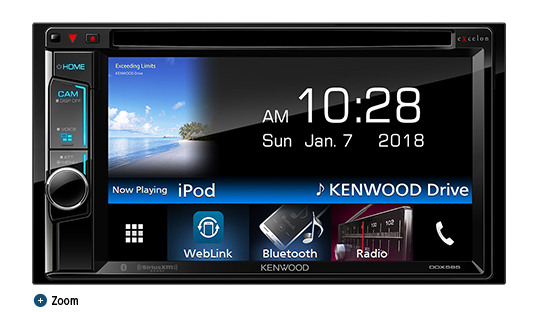 Download the KENWOOD WebLink app and you can connect your smartphone via USB to access some of your favorite apps such as YouTube and Yelp. 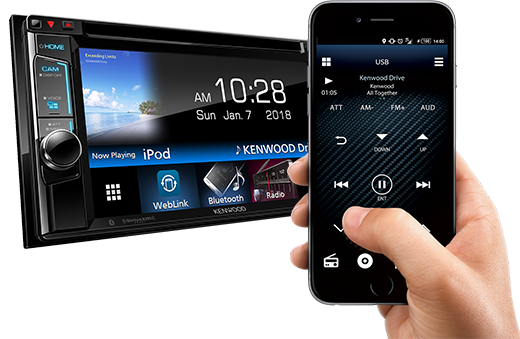 Ability to control Pandora and Spotify from your iPhone via USB/Bluetooth or from your Android via Bluetooth to enjoy millions of songs you like. Allows two phones to be connected for hands-free operation at any time. Easily switch between both phones for incoming call. Also includes wide-band hands-free profile ver.1.6 for high quality clear calling. Search and select songs from your music collection via a Bluetooth® connection. An advanced display panel with high contrast ratio, provides a brighter and clearer visual experience with vivid easy to read text. Use the graphic equalizer to tailor the sound quality to your unique tastes. Additional sound staging is available with the Time Alignment feature, designed to provide optimal sound performance. Two Camera inputs for Front and Rear cameras. Parking guide lines appear on any standard backup camera image, making parking safer and easier. 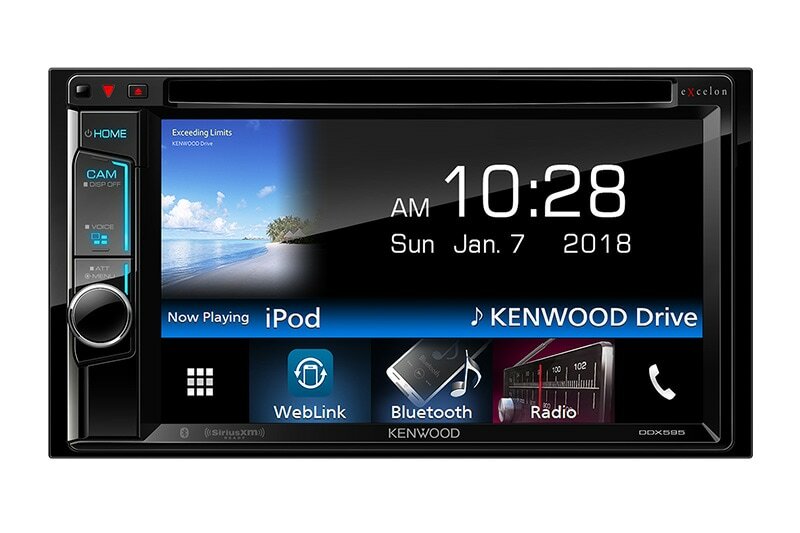 When an Automotive Data Solutions iDatalink Maestro RR is connected to a compatible KENWOOD receiver, it provides a seamless interface with factory infotainment features such as Satellite Radio, USB Media Player, Bluetooth hands-free and music streaming. Vehicle information such as HVAC, performance information, and TPMS can also be displayed.